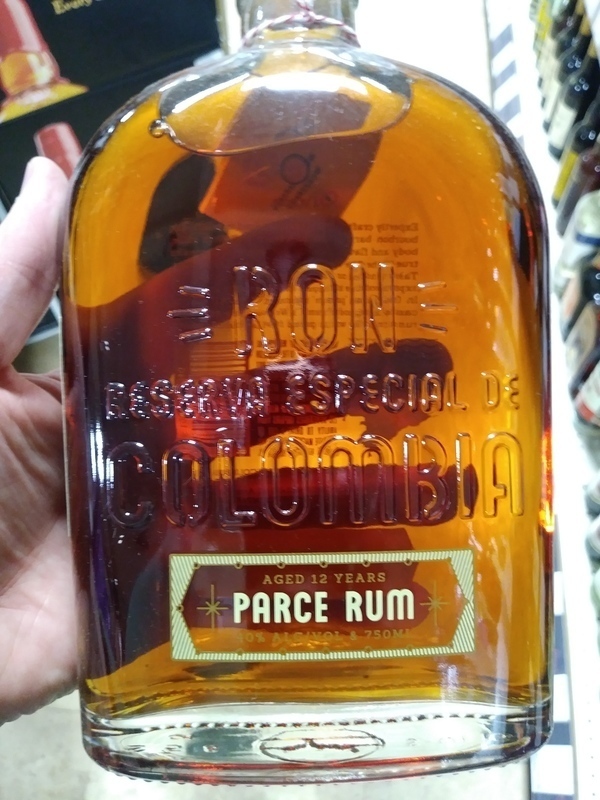 Have you found an online vendor selling Parce 12-Year? it's just amazing, notes of Crème brûlée, dried fruits and tobacco. I tasted this with the Parce 8-year, which I really liked, and this was slightly better. This seemed to have a little more sweetness and spice to it. Tastes and smells of oak, molasses, with a hint of bourbon. Like the 8 year, I like that this is somewhat sweet, unlike many other bourbon aged rums. Parce 12 tiene un sabor de whisky. Me encanta. Nunca he probado un Ron tan bueno. This is a fantastic rum, sufficiently sweet in the mid-palate and a slightly smokey and bourbonesque afterburn. There is a lot going on here. While it is a bit frivolous to mix this rum with anything, I would recommend making a Cuba Libre with it. The fact that it's not very sweet and has a lovely hint of vanilla made it the best Cuba Libre I've ever had. Slight hint of sweetness on the nose, a hint of citrus aND a tinge of jammy raisin. Nice mouth even a bit silky. Light on the esters. On the finish has a bit of bitter or I would have given it an 8. Worth the space on your shelf. Has a bit of a soured, drier oak quality (even though its somewhat sweet). Its column-still rum, making it rather light with a thin mouthfeel. It feels a bit unbalanced on the palate as well, maybe too much time in oak... Not to mention, asking price is at least $60 (got this for $40 on sale). There are many other rums I'd rather buy, honestly. Excelente ron con notas de vainilla y caramelo, super equilibrado. A pesar de ser un ron joven a mi parecer, tiene muy buen sabor. Lo único malo es el precio. Very smooth rum. It is my current favorite. A little expensive. At first I got hints of cinnamon and that switched to honey, vanilla and caramel. Smooth with a nice long finish. I will really enjoy sipping this one. Nosing the glass after letting it sit for a while I smell some tobacco. Good but too expensive. Don’t deserve the price they want. Super smooth/complex nose, hazelnut and chocolate! Smells like no other rum I’ve ever had! Hazelnut and chocolate come through very strong in taste, but super smooth! Insanely smooth. Complex, yet subtly sweet, little vanilla, touch of spice and fruit in the finish. Aftertaste lingers just long enough. Loving it. Works wonderful both on the rocks or neat. Can not go wrong with this rum. Primeramente tiene un color muy sugestivo. En nariz, es dulce, mucho cacao, algo de canela y quizás nuez. En boca muy aterciopelado, no quema ni raspa, toffee, nuevamente cacao...muy rico! 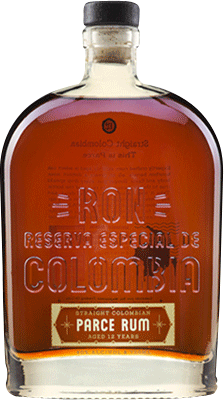 Definitely a solid rum I still preferred the Hechicera when it comes to a Colombian rum. Enjoyed a glass of Ron Parce 12 year old rum with my friend during a 5,000 mile road trip across 18 States. Bottle and label design are just okay, but nothing spectacular. Dark mahogany color. Very strong oak straight to your nose and palate. Strong and dry burn at the end. For whisky lovers, add 2 points. Very good concept, bottle and high quality liquid. 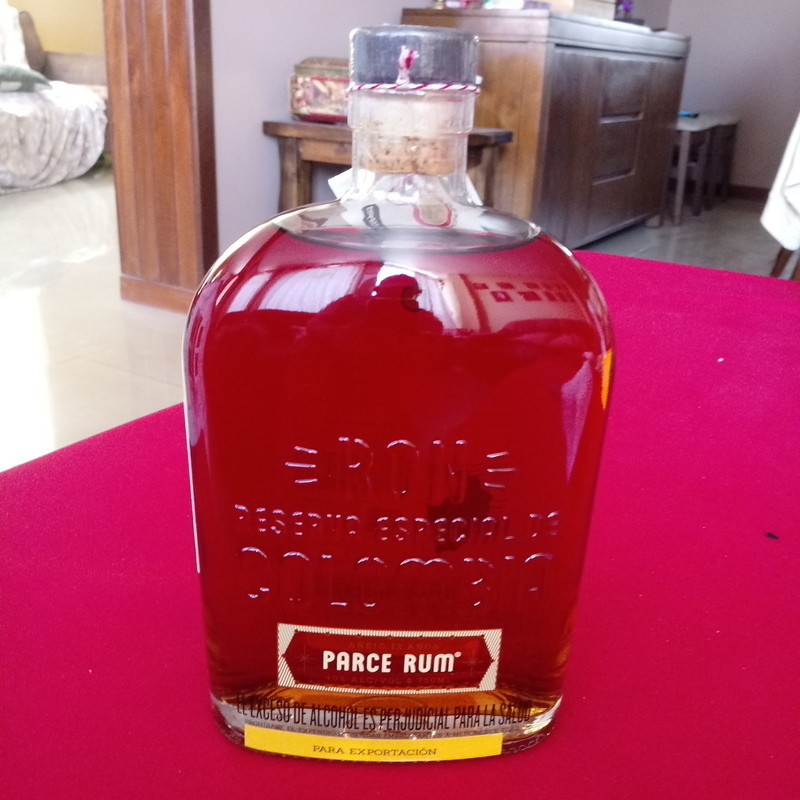 Just had my first taste of the Parce 12 year old and it is definitely my new favorite rum. Can't wait to try the 8 year old. In my opinion this rum is somewhat spacy and strong in n alcohol content. Both the 8 year and 12 year are aged in ex bourbon barrels. The 8 year has a candy fruit sweetness to it where the 12 has mellowed the sweetness without giving too much barrel to the flavor. Great sipping rum. The title says it all. Great from start to finish! Drink it neat and it will not disappoint. A must try for everyone. Sugar: Estimated at 10 Gpl. In terms of aroma I detected honey, vanilla, wood and tobacco to be the major players. These aromas carry through into the taste plus I tasted some spice like cinnamon, along with smoke and a touch of orange. Very tasty and smooth but there is a bit of an whiskey type burn on the finish. The aging in Bourbon casks certainly drives the flavour of this rum. After sampling this rum I was handed a glass of 21 year old scotch. Perhaps I didn’t cleanse my palate thoroughly as the whiskey tasted a lot like this rum. It’s a good rum to serve to friends who are also whiskey drinkers.